There are so many different questions people ask before getting a fiberglass pool; of course, the prices are always at the top of that questions list. In this article, I will try to explore the general pricing guidelines of a fiberglass pool. First of all, buying a swimming pool isn’t so different from buying a house or a vehicle. Simply because there are so many various options with so many various price ranges available. Sometimes you find a car that starts around $25K with a basic package and then reaches $50K with added options like a GPS, upgraded wheels, and all-leather interior…etc. People put a lot of money into their cars to make sure they will always find comfort inside them. It’s pretty much the same with fiberglass pools because it’s very important to pick the right pool that perfect for your family. As a pool owner, you want to enjoy your pool as much as possible with minimum maintenance. Unfortunately, some people choose to purchase a basic pool at a basic price to save money. This choice is a sacrifice of quality, warranty, and aesthetics which lead to regret eventually. The list is way longer than this and as you’ve noticed, there are so many options for pool add-ons. Fiberglass pool prices range from $36K to $65K depending on size and access. To compare with other kinds of pools; liner pools cost between $30K – $65K and concrete pools between $50K – $100K. When it comes to maintenance costs, fiberglass pools cost no more than $4,000 in 10 years. 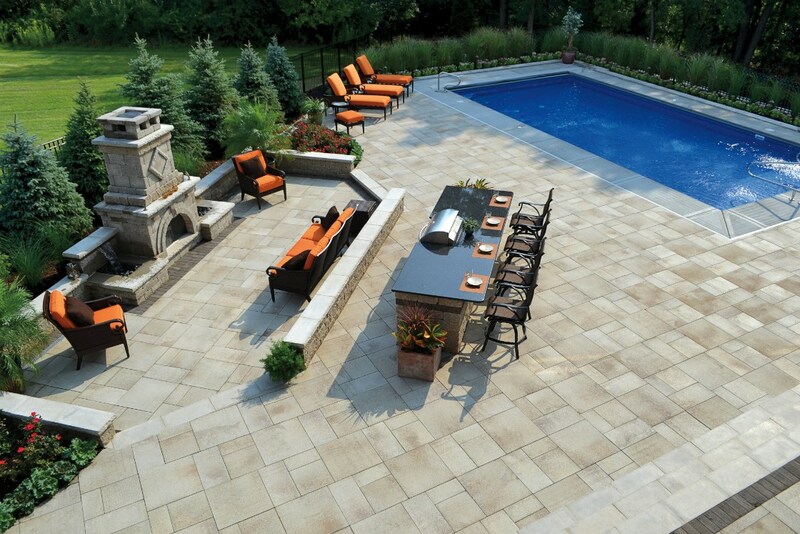 Vinyl-liner pools cost an average of $11-15,000 and concrete pools cost $25-$30,000 for the same period. When people ask about the cost of a pool, installation is also an important part to consider. There are many different packages to consider when it comes to pool installation. Each package has its corresponding price range. With this package, the pool shell gets delivered to the client’s house. Self-install gives all responsibility to the homeowner including the excavation, pool setting, final grading, electrical features, and everything involved in the pool setting. While installing a fiberglass pool doesn’t seem a very complicated task, it requires some attention to details to be finished properly. This package costs between $12K and $30K depending on the pool’s size and the add-ons purchased with it. This package covers poll shell, shipping, filling the pool, excavation, installation and plumbing the equipment, setting of the pool, and backfill. The homeowner is required to take responsibility for landscaping, grass restoration, electrical, cleaning, and final grading of the pool. This package costs between $20K and $45K depending on the pool’s size and the add-ons purchased with it. This package covers all the options of the 2nd package + decking, cleaning, and final grading of the pool. This package costs between $30K and $65K depending on the pool’s size and the add-ons purchased with it. This package covers all the options of the 3rd package including gas hook up and electrical. This package costs between $45K and $85K depending on the pool’s size and the add-ons purchased with it.